Choosing a Good MN Septic Services Contractor is important. Most Clearwater MN homeowners don’t know a whole lot about Septic Systems. Unfortunately, this could set you up to be taken advantage of by someone who cares more about making money than making sure that your Independent Sewage Disposal System is working the optimal best – for as long as possible. You want to find a MN Septic Contractor that has the right qualities that make them Trustworthy, Honest, Reliable and Knowledgeable. CSI Custom Septic, Inc. has worked hard to maintain a great reputation in the Septic Services Business providing Septic Inspection, Designing, Installations and Repairs for more than twenty years. 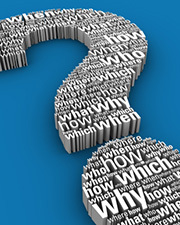 Knowledge – Ask your septic contractor some questions to see if they really understand everything about MN sewage disposal systems. Choose a technician that takes the time to fully answer your questions respectfully and in a way that you can understand. Certification – Make sure that your septic services provider is certified by the Minnesota Pollution Control Agency (MPCA). 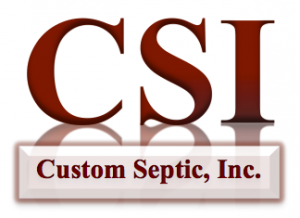 Insurance – CSI Custom Septic, Inc. is fully licensed, bonded and insured – for your protection and ours. Honesty – A good septic company will be honest when telling you what your septic system needs and does not need. They should never try to sell you something that is not in your best interest as the septic system owner. Integrity – A great septic contractor will provide you with an estimate before beginning work. CSI Custom Septic, Inc. does our absolute best at estimating the actual cost of time, materials and labor that go into doing a great job for our customers. Quality – High quality is crucial to having a healthy septic system that will last for years and years without any major problems. Insist on the highest quality of workmanship and performance. Reputation – Do a little research to find a septic business with a great reputation. Read reviews, ask your neighbors, check credentials and references from current and past clients. Reliable – Nobody wants to waste time waiting for a service company that fails to follow through on promises. Choose a contractor that shows up when they say they will, completes the work on time and provides a finished product that passes all inspections. Hard Working – The sewer business is a dirty job that requires a lot of hard work to get it right. The team at CSI Custom Septic, Inc. understands this and is ready and willing to work very hard to provide you with the best results. Recommendations – Don’t just take our word for it, check our References page to see what some of our happy customers have to say about their experience with CSI Custom Septic, Inc.
At CSI Custom Septic, Inc. we take pride in knowing that our customers are well taken care of. Our web page has a page dedicated to References from several past and current customers that are willing to provide a recommendation to our future happy clients. While you are there, why not take the time to read the About Us page to find out more about the people that keep CSI operating day after day, year after year. In Clearwater, Clear Lake and Becker MN, contact Brad Krotzer of CSI Custom Septic, Inc. at 763-218-4769 for Septic Inspections, Professional Septic System Designing, Septic System Installations and Repairs.